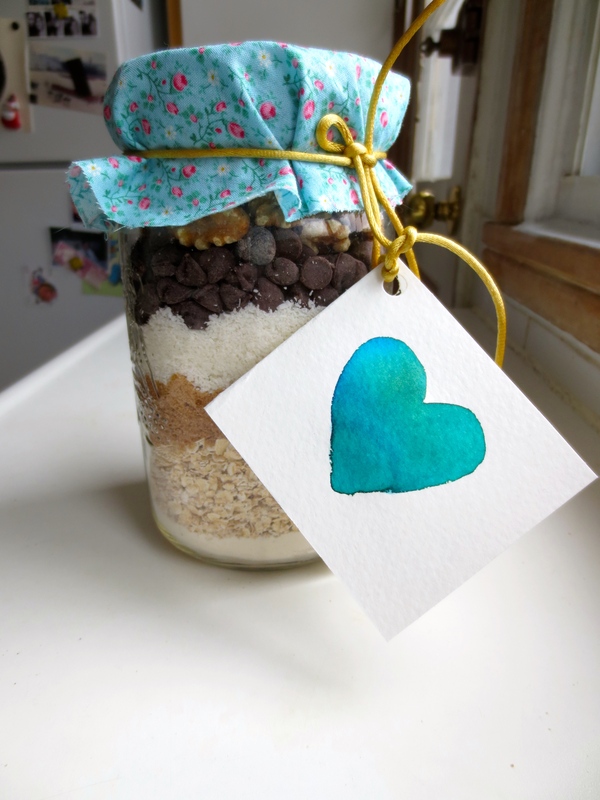 As promised, here is the DIY gift based on yesterday’s recipe. Whether you need a gift for a host, a friend who loves baked goods, or a person who is always on the run, I’m sure you know someone who would appreciate this. 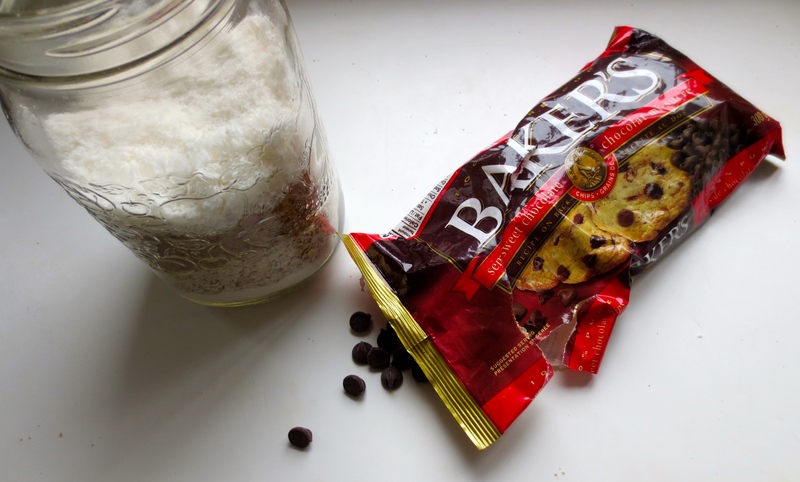 Step I: start by sifting the flour, baking powder and salt together. 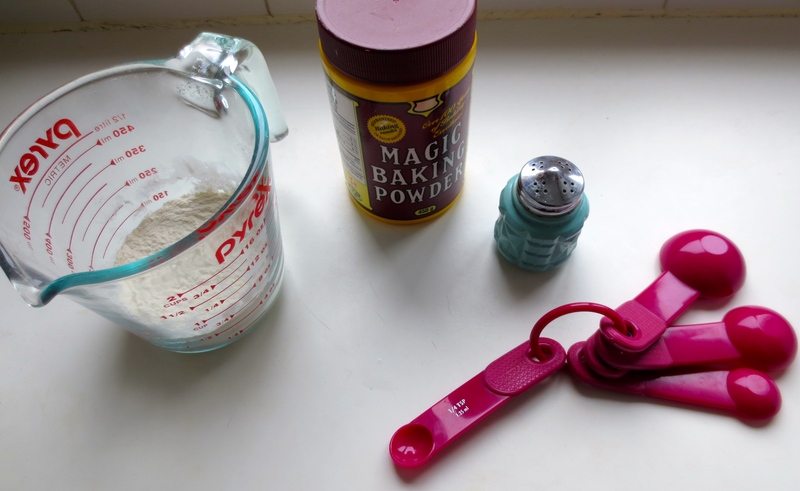 Pour the flour mix into the jar, tap it so it levels out. 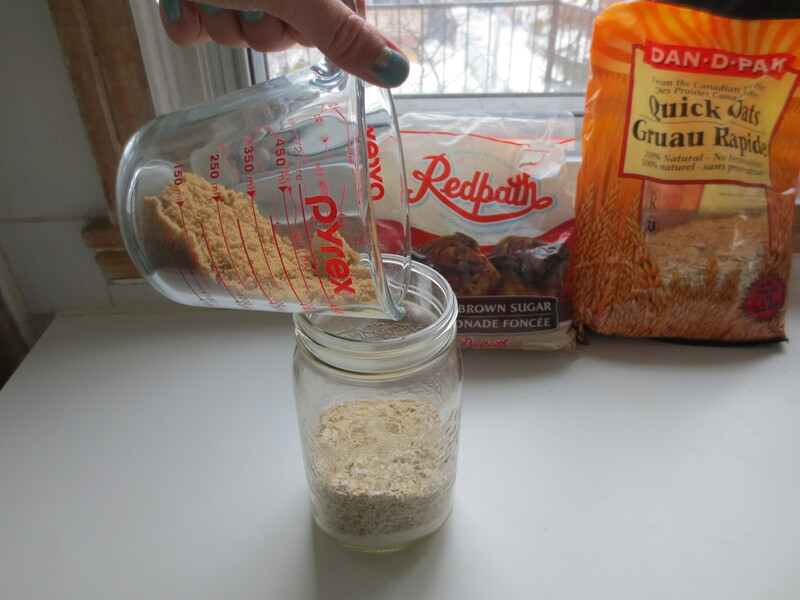 Step 2: Pour in the cup of oats, tap to level. Step 5: and the chocolate chips at the top. Your jar should be pretty full. (The jar I used was a little too big so I threw in some walnuts at the top.) Screw the lid on tightly. 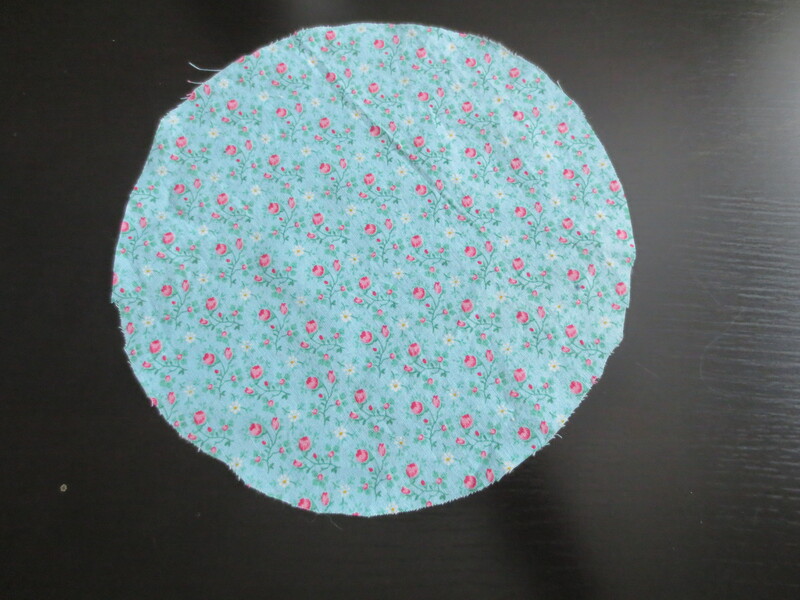 Step 6: get your cute fabric and a plate that’s at least 7 inches in diameter (less if your jar has a small lid). 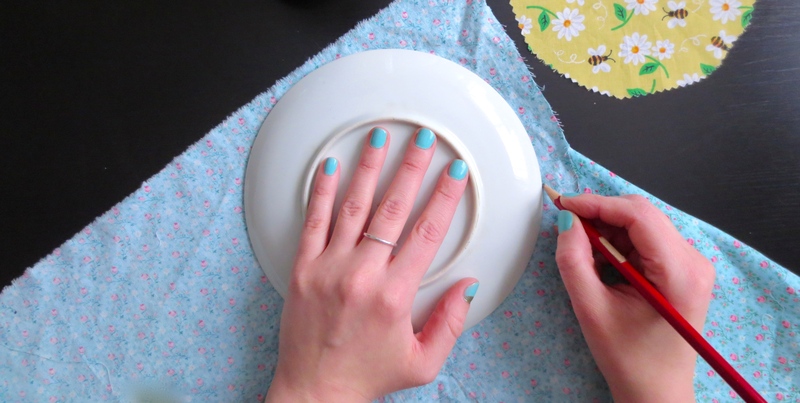 Use this plate to trace a circle. Using scissors (bonus cute points if you have zigzag scissors), cut the circle out of the fabric. Step 7: place fabric on top of lid. Tie with ribbon or string to secure. In a large bowl, mix all jar contents well. In a small bowl, melt 6 Tbsp butter, cool, then add I beaten egg yoke and ¼ tsp vanilla. Stir wet into dry until just blended. Transfer to 8X8 greased baking pan, bake 25 minutes at 350 degrees. Let cool, cut, & enjoy! 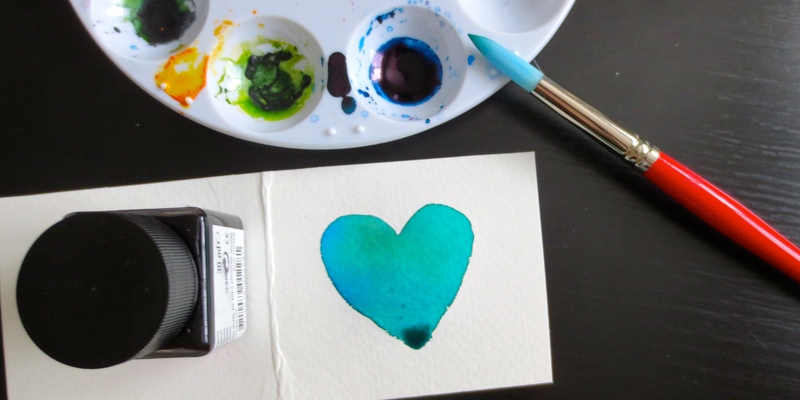 Step 9: Design a fun cover for the card. Punch a hole through the top left corner, and loop in an end of the string. Make sure the jar doesn’t get shaken too much on the way and there you have it!